It’s President’s Day friends & I am so thankful to have today off of work. I was looking at my calendar for the next three weeks and I realized that I am out of town every weekend & traveling for town 10 straight days! While I’m looking forward to all the travel, it definitely means that I need to get a whole lot done today- hello mountains of laundry! Always on the hunt for great shoes for work like I am? 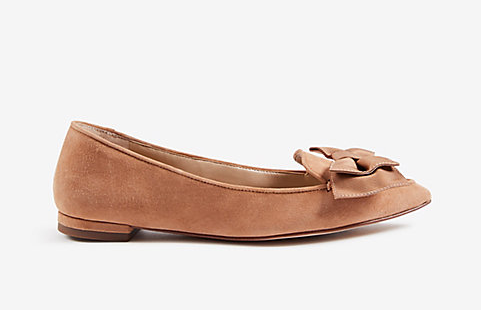 These bow flats are just precious! 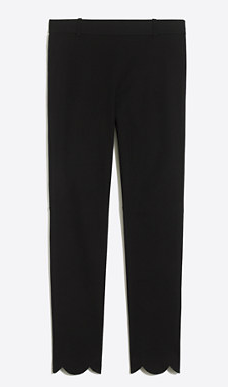 Talk about precious… I’m in love with the scallops on these pants! The perfect way to dress up your work week wardrobe. 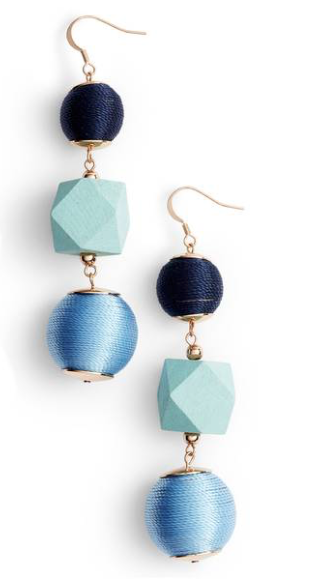 Statement earrings are still going strong this spring- and how cute are these blue geo drops?! 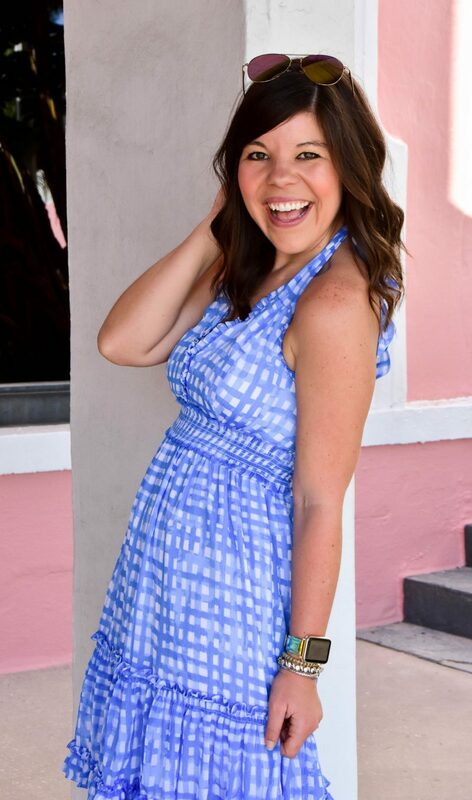 My darling bestie, Sarah, announced that she is expecting a sweet baby boy!! I have known for awhile and I’m so thrilled that the news is finally out 🙂 She is going to be the sweetest mama in the world. Congrats friend! I”m headed to Charleston in 3 weeks for my big birthday (30!!) so I really enjoyed Jillian’s post on the “Beginners Guide to Charleston.” It’s such a gorgeous city, with so much to do, and I’m adding a few new ideas to my list! How yummy does this Caprese Pasta look? I need to make this asap! I’m more than a little obsessed with the gingham wallpaper in Jillian’s bathroom reveal– gorgeous! My sweet blog-friend, Erin, announced that she is moving to London this week! I’m so excited to follow along with her adventures & am hopeful that we will get to meet “IRL” before she leaves! I’ve already mentioned my crazy travel schedule- but it’s kind of all I can think about! This coming weekend Sarah Hunt & I are celebrating her birthday at Streamsong Resort and I’m so looking forward to the R&R. It’s one of the top resorts in the state and the pictures look beautiful! It will be so fun to celebrate her birthday there. 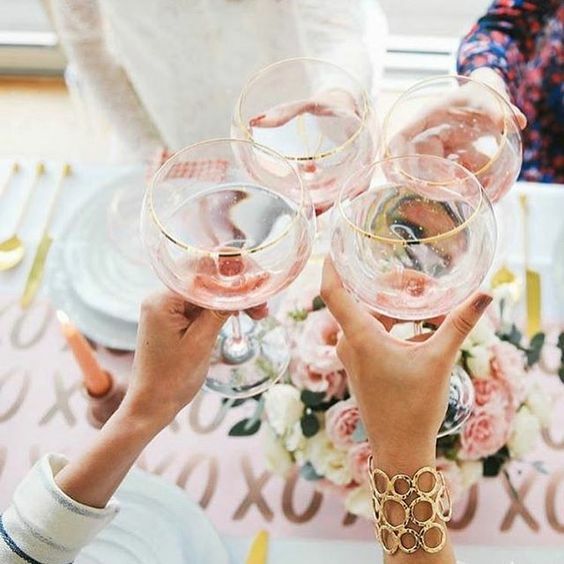 I’m also hosting my bestie Ashley’s bridal shower in 2 weeks and am nailing down all the final details. Since she moved to VA it’s been a while since we’ve seen each other so I’m thrilled to share this special day with her! Nordstrom– get up to 40% off during their winter sale- so many good deals! Old Navy– 35% off + Free Shipping with code “FORALL”. Y’all have been loving this dress & this dress that I shared last week! Hope you have the most wonderful week! Lots of fun content is headed your way & I can’t wait to share it all! There are so many good sales going on! I am loving the Nordstrom sale of course! Congratulations to you bestie on the baby! Thank you!! It’s so much fun welcoming a new little one! SO happy to have today off too. so happy fun things coming your way, enjoy! So jealous you’re off today! We got MLK day off so I’m here in the office but at least traffic wasn’t bad. Those pants are so cute! I love the scalloped edge! I’m hoping to find a few seconds tonight to catch the end of the sales! I love those bow flats – adorable! Hope you have a good day off! I hope you get a chance to check them out- there are some great ones! Those flats are so cute! I’m also loving the gingham wall paper! Have a great day. Isn’t that wallpaper stunning?! I swooned! I need those scalloped pants for work! What a cute find! Sounds like you have a fun week and weekend ahead! I love those flats! The neutral is perfect for spring! Okay and that wallpaper? OMG LOVE! uggg those pants are so cute–I wish they had athletic ones like that! Oh, those pants are so different! I am loving the earrings, they’re so cute and I love the shades of blue used! Hi hi! A little late but better late than never… thank you so so much for including my Beginner’s Guide to Charleston post in your roundup! I’m so grateful and hope you have the best trip to Charleston! Aw yay!! Thanks so much for checking out the post- excited to be in your city this weekend!